Looking for a Reputable Las Vegas Bail Agent? Las Vegas Bail Bonds, Hangover Bail. If you, a friend or family member has been arrested or is facing arrest, it is imperative that you have a reputable bail bonds company that can help you from the start. Hangover Bail Bonds has been given multiple awards and is noted as being one of the most reliable Las Vegas Bail Bonds companies in Southern Nevada. Our highly knowledgeable bail bondsmen are specifically trained to help you through this ordeal in your life. Our bail bondsmen are licensed, bonded and able to post bail anywhere in the state of Nevada. We are available to help you out regardless of what time of the day it is. We are open 24 hours per day 7 days a week 365 days a year. Getting help is as easy as calling us: Call 702-733-1616 now for the quickest, easiest and most pain free Las Vegas Bail Bonds service anywhere. Most of the time arrests happen at odd hours and not during the normal work day. We are open at all times to make sure you can get help no matter what time it is. With an arrest comes a financial blindside that most of our clients can’t handle. Coming up with bail money last minute in Las Vegas can be more than just difficult, but also devastating. When an arrest happens in the middle of the night, getting the finances together to post bail can be virtually impossible, even if a client has access to funds in a traditional bank. Those same clients may still have to wait until the next business day to get access to the cash they need to post a Las Vegas Bail. We want to make sure you are able to survive the bail process with the least amount of stress as possible. Regardless of where you are, we are able to help 24/7, 365 days a year! All of our bail agents are specialty trained and able to help you no matter what problems you are running into right now. How Do I Hire a Las Vegas Bail Bonds Company? Hangover Bail makes the process simple for you to hire us to help you. We don’t want you to have to go through a difficult process in getting your bail in order. Choosing a great bail agency can seem difficult and stressful, especially when you don’t know who you can trust or who will give you the best rates. 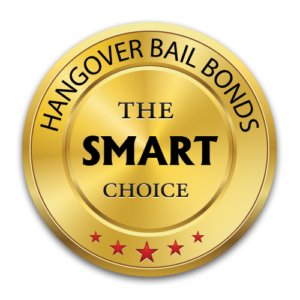 Hangover Bail gives the best rates in the industry and unlike some bail companies we don’t take advantage of you during this difficult time, but instead get on your side and make things happen quickly for you or your loved one. When you hire our company we will hold your hand through the process and help you from start to finish with your bail bonds process. We want you to know we won’t leave you alone at any point guessing what is coming next. The first step in the process of hiring our Las Vegas Bail Bond company is to call our office. We will need to get just a few pieces of information from you to get started. these include: The defendant’s name, their date of birth, their address, their place of employment, the charges placed against them currently and what prizon they are being held at. Once we are provided with that information we can begin the application process and get you on your way to being released or helping your loved one get released from prizon. The next thing that will need to happen is securing payment for the defendant. The State of Nevada charges a %15 fee that is non-returnable and non-refundable. The fee is required by the state unfortunately so there is no way around it. We are able to help with a payment plan if you are not able to pay the %15 up front. The bail bondsmen at Hangover Bail Bonds are able to take multiple forms of payments. Please let us know what type of payment you would like to use and we can work with you. Typically 15% of the total bail bond amount, plus a $50 posting fee per bond is required by most companies. Our service accepts cash, credit/debit cards, money orders, cashier’s check and electronic transfer. Collateral may be required in certain situations but not for most. How Do I Pay A Hangover Bail Bonds for their help? Payment is accepted by cash, credit, debit or cashiers check. When the bond is written, the bail bondsman will go over any fees that are included in the contract. The state mandated 15% is the total that will be due, we will work out a payment plan if needed. This fee is required by the state as a premium, it pays for the bond. Is Licensing and Bonding Important for a Las Vegas Bail Bonds Company? Hangover Bail has met or exceeded the requirements necessary to act as a bonding service in the state of Nevada. We take this responsibility very seriously and only want to provide the best of services to our customers. Our office is always open, 24 hours a day, 365 days a year. You can walk in and speak with us in person or us at call 702-733-1616. Fill Out The Form to Request Bail Fast!